Thats all. Game finished - Newcastle United 1, Wolverhampton Wanderers 2. Second Half ended - Newcastle United 1, Wolverhampton Wanderers 2. Ciaran Clark - Newcastle United - receive yellow card. Raúl Jiménez - Wolverhampton Wanderers - won a free kick in attack. Goal! Newcastle United 1, Wolverhampton Wanderers 2. Matt Doherty - Wolverhampton Wanderers - shot with the head from the right side of the six yard box to the centre of the goal. New attacking attempt. Diogo Jota - Wolverhampton Wanderers - shot with left foot from the left side of the box is saved by goalkeeper in the centre of the goal. Assist - João Moutinho. Missed chance. Raúl Jiménez - Wolverhampton Wanderers - shot with left foot from outside the box missed. Substitution - Newcastle United. Kenedy for Christian Atsu. Substitution - Newcastle United. Joselu for Salomón Rondón. Shot blocked. Morgan Gibbs-White - Wolverhampton Wanderers - shot with right foot from outside the box is blocked. Assist - Rúben Neves. New attacking attempt. Raúl Jiménez - Wolverhampton Wanderers - shot with the head from the centre of the box is saved by goalkeeper in the centre of the goal. Assist - João Moutinho with a cross. 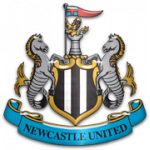 Delay in match Ayoze Pérez - Newcastle United - - injury. Corner - Wolverhampton Wanderers. Conceded by Martin Dubravka. New attacking attempt. Matt Doherty - Wolverhampton Wanderers - shot with left foot from the centre of the box is saved in the left corner. Assist - Diogo Jota. Ryan Bennett - Wolverhampton Wanderers - receive yellow card. Salomón Rondón - Newcastle United - won a free kick in defence. Offside - Wolverhampton Wanderers. Rúben Vinagre with a pass, however Raúl Jiménez is in offside. Substitution - Wolverhampton Wanderers. João Moutinho for Hélder Costa. Offside - Wolverhampton Wanderers. Raúl Jiménez with a pass, however Diogo Jota is in offside. Raúl Jiménez - Wolverhampton Wanderers - hits the bar with a shot with right foot from the left side of the box. Assist - Hélder Costa following a fast break. Corner - Newcastle United. Conceded by Conor Coady. Diogo Jota - Wolverhampton Wanderers - receive yellow card for a foul. Ayoze Pérez - Newcastle United - won a free kick in defence. 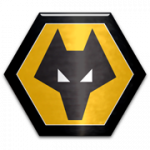 Conor Coady - Wolverhampton Wanderers - receive yellow card for a foul. Rúben Neves - Wolverhampton Wanderers - won a free kick in defence. Christian Atsu - Newcastle United - won a free kick on the left wing. Christian Atsu - Newcastle United - won a free kick in defence. Missed chance. Ayoze Pérez - Newcastle United - shot with right foot from the right side of the box is high and wide to the left. Jamaal Lascelles - Newcastle United - won a free kick in defence. Hélder Costa - Wolverhampton Wanderers - receive yellow card for a foul. Ayoze Pérez - Newcastle United - won a free kick in attack. Missed chance. Matt Doherty - Wolverhampton Wanderers - shot with the head from the centre of the box goes high. Assist - Morgan Gibbs-White with a cross after corner. Corner - Wolverhampton Wanderers. Conceded by Ayoze Pérez. Substitution - Wolverhampton Wanderers. Raúl Jiménez for Romain Saïss. Substitution - Wolverhampton Wanderers. Morgan Gibbs-White for Adama Traoré. Corner - Wolverhampton Wanderers. Conceded by Matt Ritchie. Shot blocked. Rúben Neves - Wolverhampton Wanderers - shot with right foot from outside the box is blocked. DeAndre Yedlin - Newcastle United - receive red card. Diogo Jota - Wolverhampton Wanderers - won a free kick in attack. Missed chance. Willy Boly - Wolverhampton Wanderers - shot with the head from the centre of the box missed to the left. Assist - Hélder Costa with a cross . Hélder Costa - Wolverhampton Wanderers - won a free kick on the right wing. Shot blocked. Ciaran Clark - Newcastle United - shot with the head from the centre of the box is blocked. Assist - Ki Sung-yueng with a cross. Ciaran Clark - Newcastle United - won a free kick on the left wing. Substitution - Newcastle United. Javier Manquillo for Federico Fernández. Second Half starts Newcastle United 1, Wolverhampton Wanderers 1. First Half ended - Newcastle United 1, Wolverhampton Wanderers 1. Missed chance. Ciaran Clark - Newcastle United - shot with the head from the centre of the box is high and wide to the right. Assist - Ki Sung-yueng with a cross after corner. Shot blocked. Mohamed Diamé - Newcastle United - shot with left foot from outside the box is blocked. Assist - Ayoze Pérez. Diogo Jota - Wolverhampton Wanderers - won a free kick on the left wing. Missed chance. Ryan Bennett - Wolverhampton Wanderers - shot with the head from the centre of the box is high and wide to the left after corner. Matt Doherty - Wolverhampton Wanderers - receive yellow card for a foul. New attacking attempt. Federico Fernández - Newcastle United - shot with the head from the centre of the box is saved in the left corner. Assist - Ki Sung-yueng with a cross. Mohamed Diamé - Newcastle United - won a free kick on the right wing. New attacking attempt. Salomón Rondón - Newcastle United - shot with right foot from outside the box is saved in the left corner. Assist - Christian Atsu. 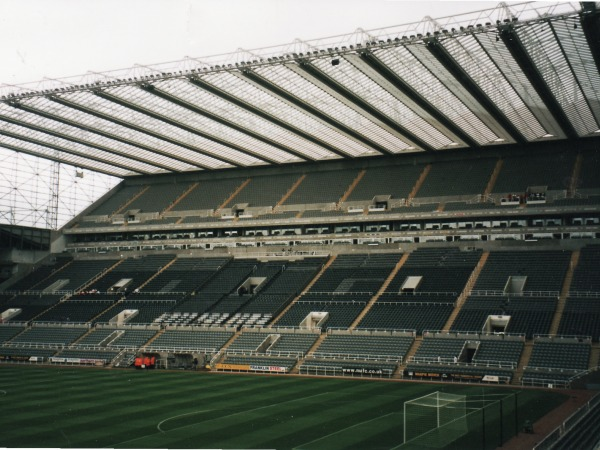 Corner - Newcastle United. Conceded by Rúben Vinagre. Goal! Newcastle United 1, Wolverhampton Wanderers 1. Ayoze Pérez - Newcastle United - shot with the head from the centre of the box to the top left corner. Assist - Salomón Rondón with a cross . Salomón Rondón - Newcastle United - hits the bar with a shot with right foot from outside the box from a free kick. Ki Sung-yueng - Newcastle United - receive yellow card for a foul. Goal! Newcastle United 0, Wolverhampton Wanderers 1. Diogo Jota - Wolverhampton Wanderers - shot with left foot from few metres to the centre of the goal. Assist - Hélder Costa. Missed chance. Christian Atsu - Newcastle United - shot with left foot from outside the box is high and wide to the left after corner. Shot blocked. Salomón Rondón - Newcastle United - shot with the head from the centre of the box is blocked. Assist - Christian Atsu with a cross. New attacking attempt. Rúben Neves - Wolverhampton Wanderers - shot with right foot from long distance on the left is saved in the left corner. Adama Traoré - Wolverhampton Wanderers - won a free kick in attack. Romain Saïss - Wolverhampton Wanderers - won a free kick in defence. Shot blocked. Mohamed Diamé - Newcastle United - shot with right foot from outside the box is blocked. Ciaran Clark - Newcastle United - won a free kick in defence. Corner - Wolverhampton Wanderers. Conceded by DeAndre Yedlin. Willy Boly - Wolverhampton Wanderers - won a free kick in defence. New attacking attempt. Salomón Rondón - Newcastle United - shot with right foot from the centre of the box is saved in the left corner. Assist - Mohamed Diamé.